Last week DigiCert announced it had closed on the billion-dollar acquisition of Symantec’s security business previously announced in August of this year. The deal adds to DigiCert’s capable team some of the industry’s best talent and resources in the area of SSL/TLS certificates and related PKI solutions. As the world becomes more cloud and IoT-centric, these are security technologies that companies need to pay more attention to. 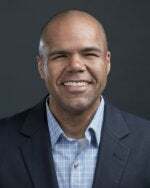 Prior to the close, I had a chance to talk to Flavio Martins, executive vice president of validation and support at DigiCert, about what customers should expect from the company as it rolls in the Symantec assets. This should be of particular interest to Symantec customers that may be concerned that innovation may slow down or their current products will be retired. Martins assured me that this would not be the case. The plan is to provide a smooth transition with faster innovation, which will benefit DigiCert’s current customers but also the Symantec customers that are transitioning over. The bigger DigiCert will be the global leader in the SSL/TLS certificates, PKI space, but the acquisition wasn’t just to roll up share. Martins told me DigiCert is looking forward to bringing the Symantec talent into the fold. He recognizes that security is a niche market and the area they play in is specialized within the security industry but there’s an opportunity here to evolve it. The plan is to take the currently established infrastructure — already built to be highly scalable, flexible and capable of doing much higher volume issuance — and improve it to advance automation that speeds up the deployment of SSL certificates and reduces the need for manpower or the potential for error with manual processes. All the technical elements currently exist within DigiCert but now the influx of people will help the company drive the initiatives forward at a much faster pace. That sounds like something I hear from vendors all the time, but the integration of teams can often lead to a temporary slowdown in innovation. Martins seemed well aware of this and assured me that DigiCert has a well-seasoned framework that encompasses every aspect of innovation from the way the teams are structured to what projects they work on. DigiCert recognizes the importance of what they do and the company will not lose their ability to bring new solutions to market quickly. Instead, they will enhance it. I asked Martins where customers should be looking for innovation and he was quick to say again that automation of PKI is a priority. Many customers are heading down the path of modernizing their infrastructure and their development approach, and this changes things in DigiCert’s business. There is more use of cloud services and automation within the application development process itself and DigiCert is focused on integrating the certificate issuance and deployment process into the development tools that enterprises use. This includes popular DevOps tools like Chef, Puppet, Ansible and Salt. Additionally, DigiCert is continuously integrating with popular cloud platforms. SSL needs to evolve as well. The core technology itself does not need to change as much as we need to think about how to create a more flexible platform to directly integrate into whatever method the company is using for their development including the automation of “SSL as a service”. Businesses are rapidly moving to the cloud and DigiCert can accommodate that. DigiCert sees a need for growing the PKI as a managed service, particularly because of IoT. Industrial organizations, healthcare providers and others need a relationship with a certificate provider as many IoT endpoints don’t have network capabilities. If they do, they are nascent so there are very few security capabilities. Organizations want to work with a managed service provider to take a more collaborative approach. 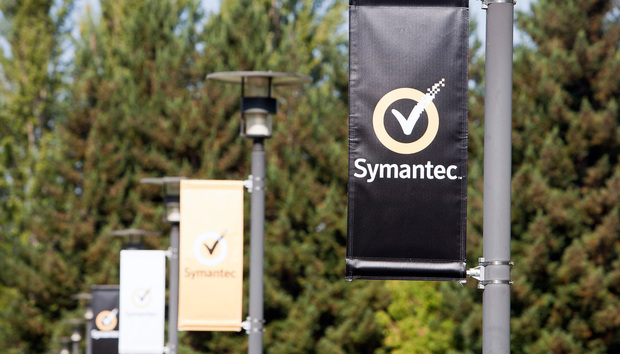 The last point of conversation with Martins was around Symantec customers. Earlier, I alluded to the point there should be no disruption to the Symantec customer base and asked him to elaborate on this. He made a couple of strong points that made me believe that was true. First, DigiCert is solely focused on the certificate authority market, unlike Symantec that was battling other fronts. It’s strategic to the company and 100 percent of the resources are aligned here to meet the changing needs of the customer today and into the future. DigiCert’s goal is to make the transition to the new infrastructure absolutely seamless so any impact will only be positive. The company already has the fastest issuance times and that will only get better, so at a minimum Symantec customers will receive certificates faster. Is it possible to determine if your internet connection has been hijacked?